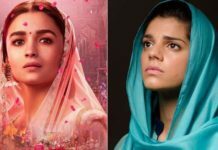 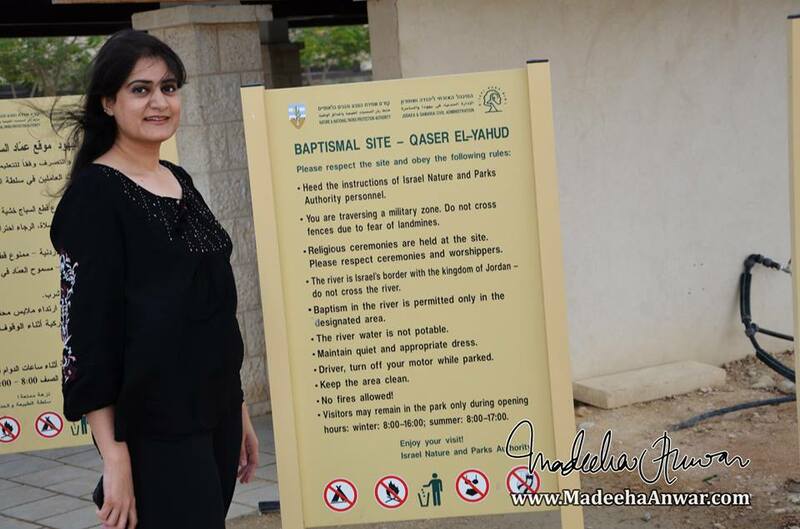 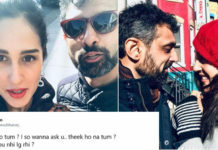 A Pakistani having the US citizenship has recently visited the ‘forbidden land’ of Israel and Palestine and shared experience on her Facebook. 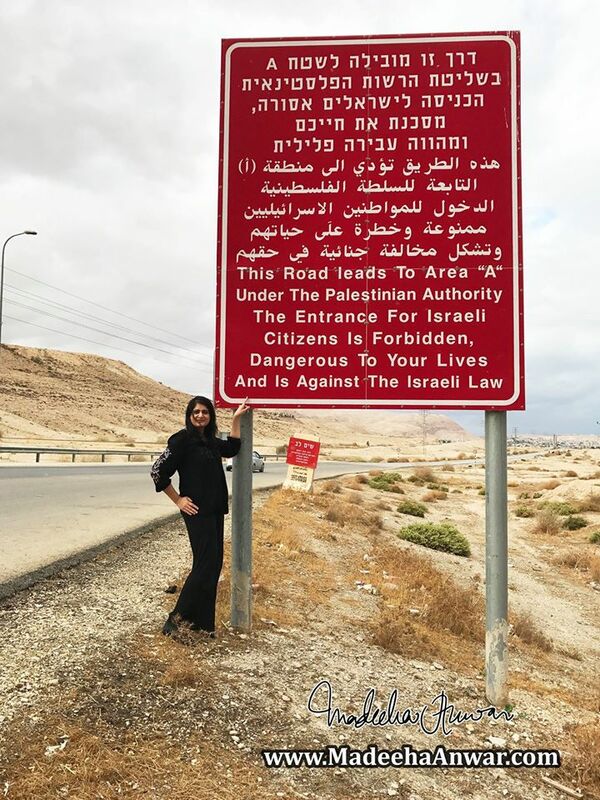 Her post, highlighting the historical sites of these lands, is breaking the internet these days. 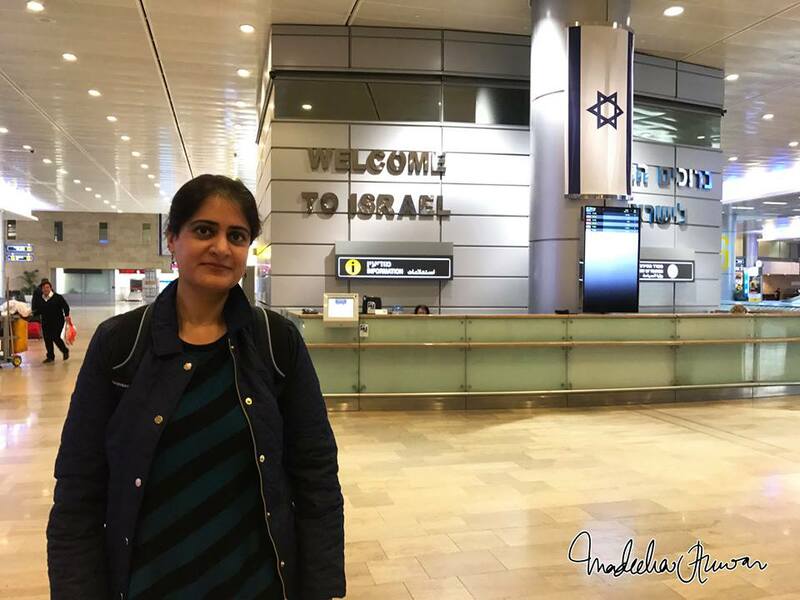 It is to remind the a Pakistani citizen cannot travel to Israel as it is forbidden on ‘green passport’ by the government of Pakistan. 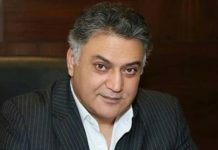 “When I came to US, I pledged to myself to visit this revered city as soon as I receive my blue passport. 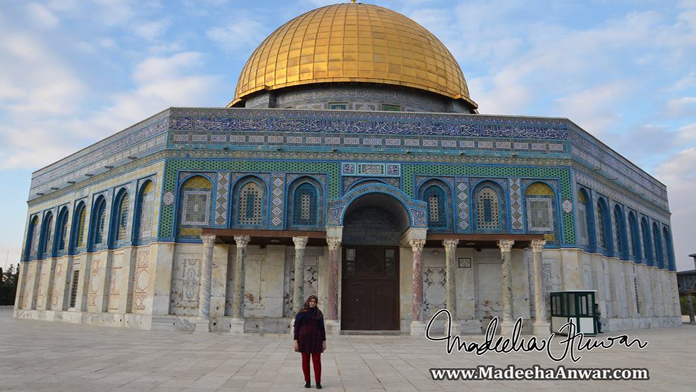 In December 2016, a few months after becoming US Citizen, I visited Israel and prayed at Masjid e Aqsa, Dome of the Rock (Qubbatussakhra), roamed freely in the old streets of Jerusalem, felt the auspicious history in the oldest cities known to human civilization; Bethlehem, Hebron (AlKhalil), DeadSea and Jericho (Ariha) and got a chance to interact with the locals be it Muslims, Christians or Jews; and found out everyone had their own stories yet very sacred, unique and holy connection to this land,” she expressed. 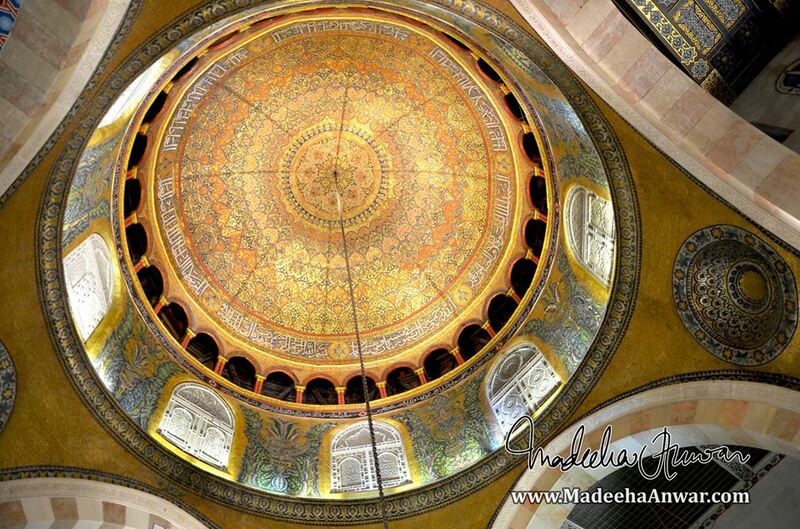 Inside view of Al Aqsa Mosque by Madeeha Anwar Chaudhry. 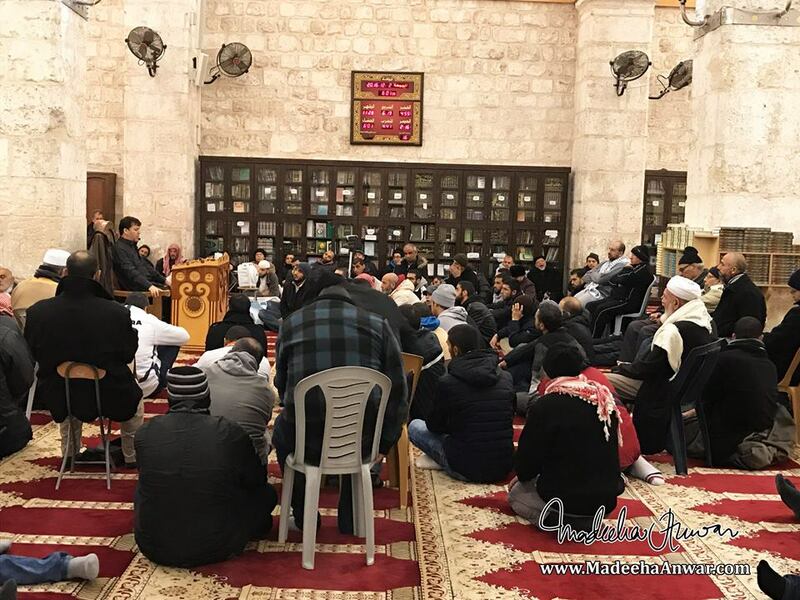 Taleem after Fajr prayer for Muslim men at Al Aqsa Mosque. 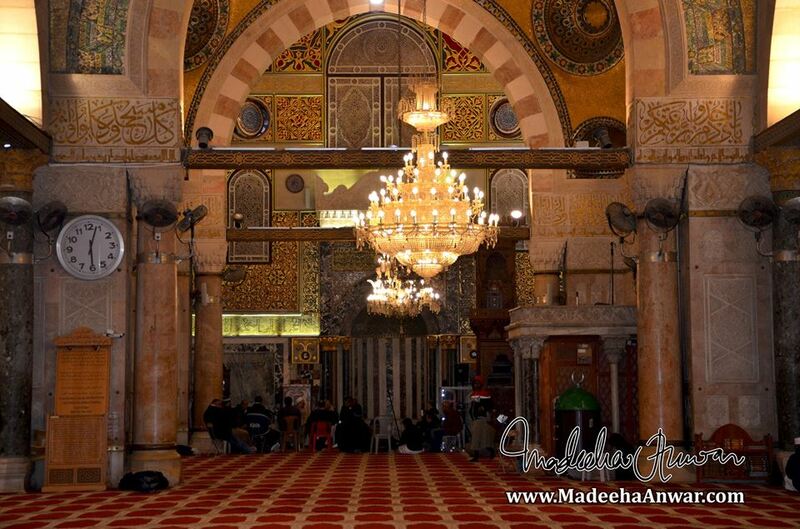 Inside view of Al Aqsa Mosque. 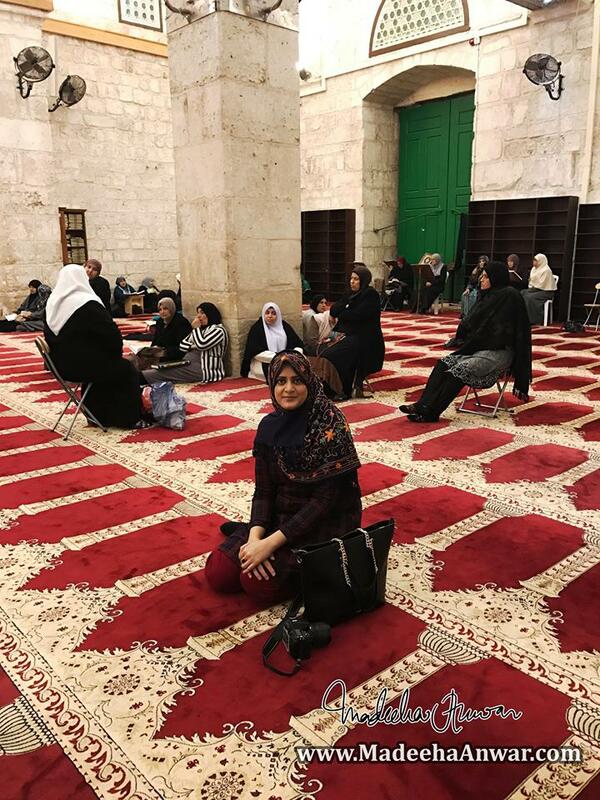 Prayer area for women in Masjid e Aqsa. 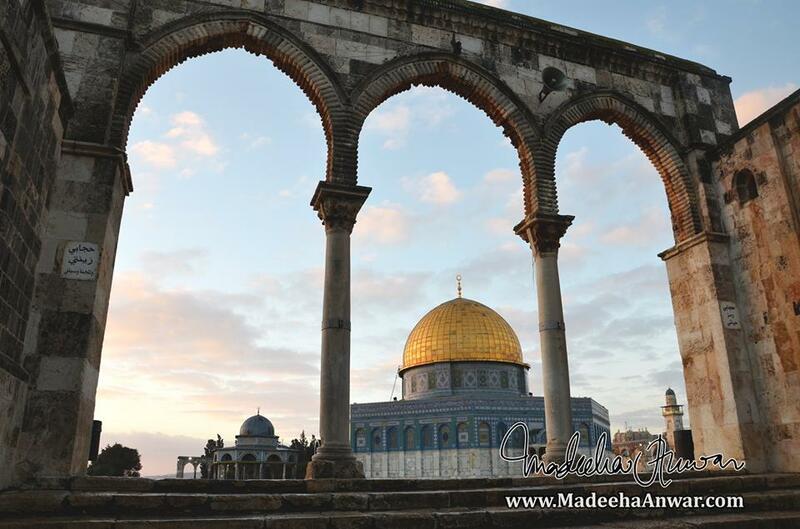 The beautiful view of Dome of Al Aqsa Mosque. 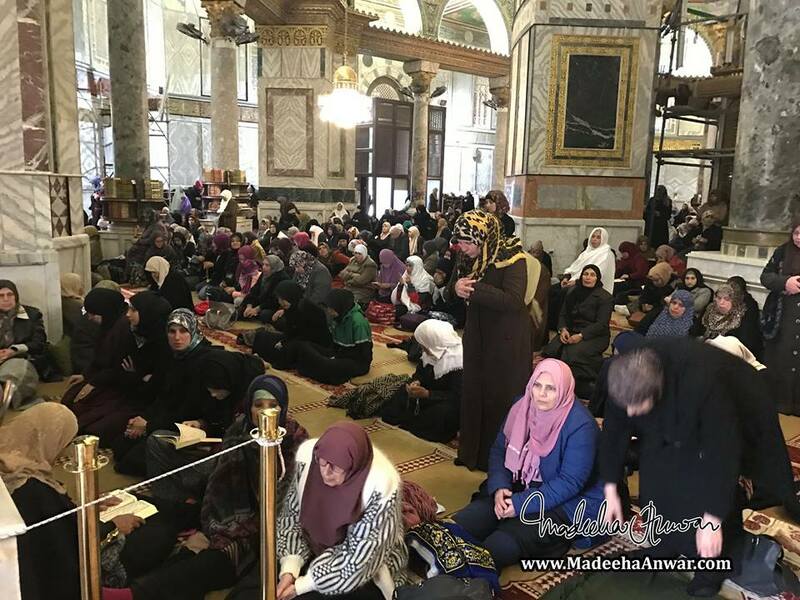 Women prayer Nafal before Juma prayer in Dome of the Rock. 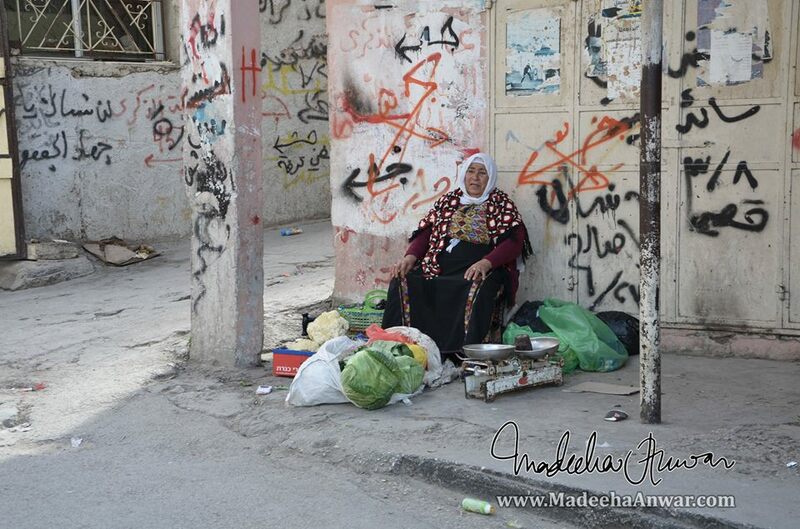 A woman selling vegetables at a Palestine refugee camp on way to Bethlehem, Palestine. 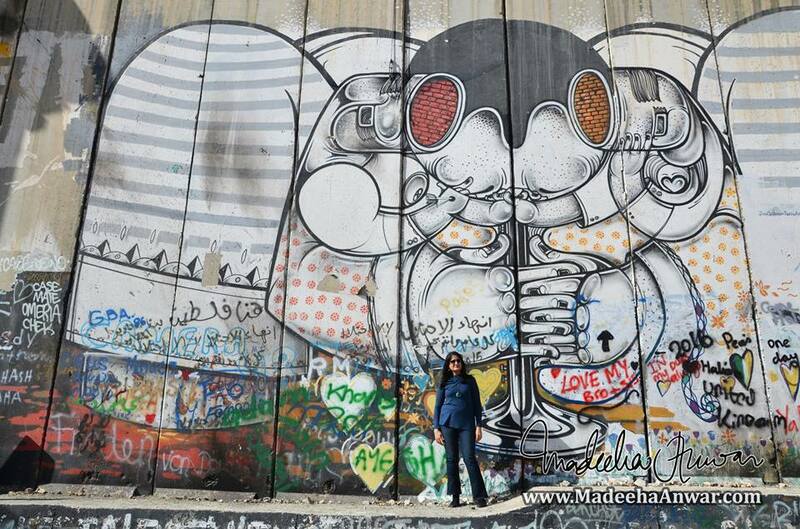 At the Israeli West Bank Barrier in Bethlehem Palestine. 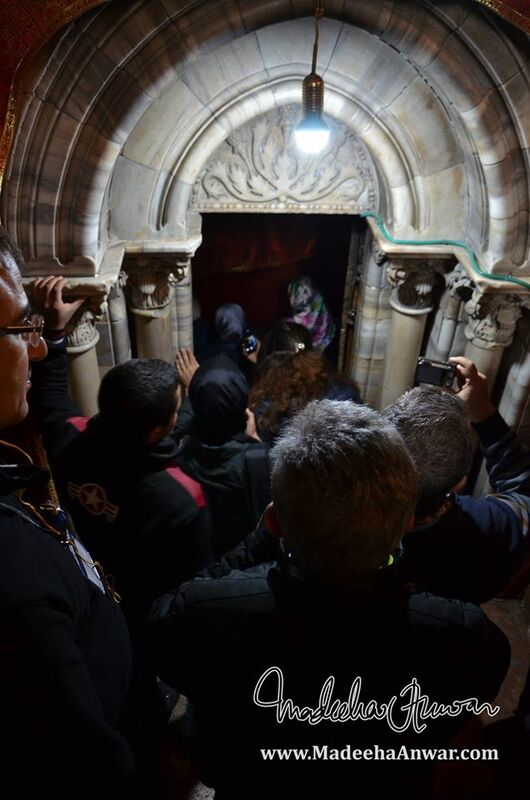 Inside the Church of Nativity going towards the site that is traditionally considered to be located over the cave that marks the birthplace of Jesus. 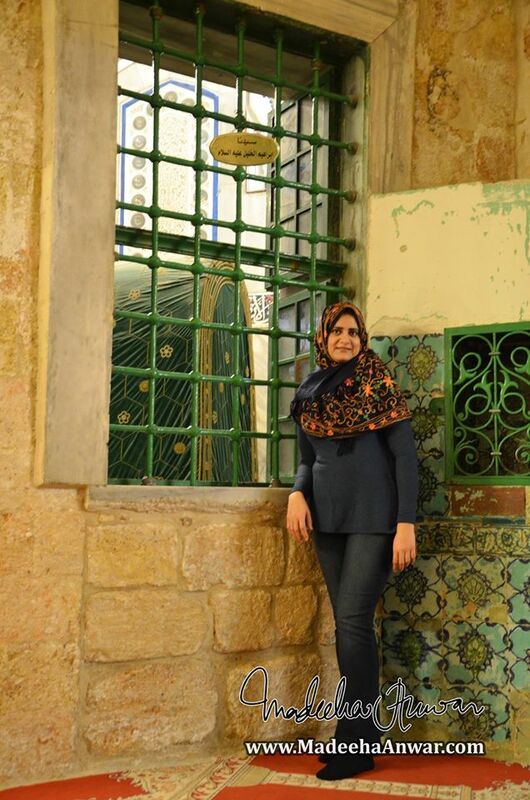 Outside the Mosque of Nabi Younus AS located in the middle of the old city of Halhul, 5km North of Hebron, Al Khalil, Palestine. 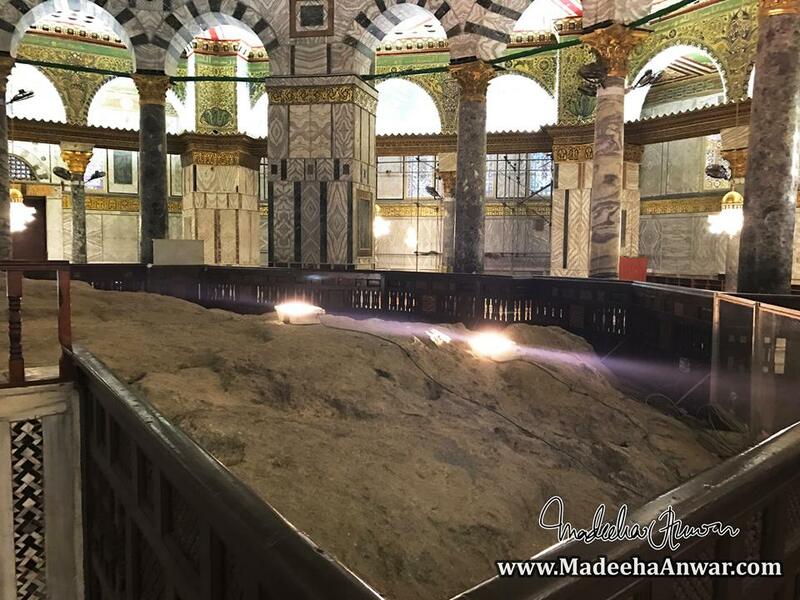 Symbolic tomb of prophet Younus AS. 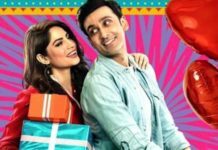 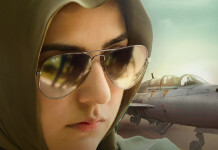 It is believe that Nabi Younus AS had stayed at the place for sometime. 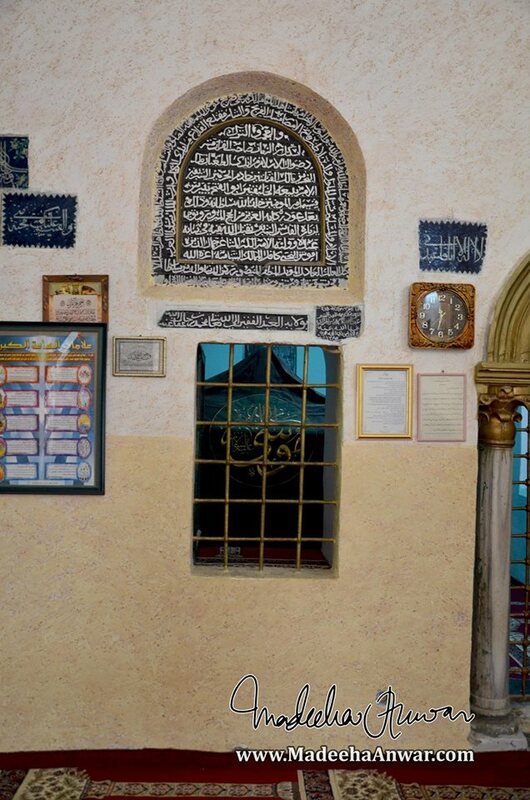 Tomb of Syeda Sara AS, wife of Ibrahim AS. 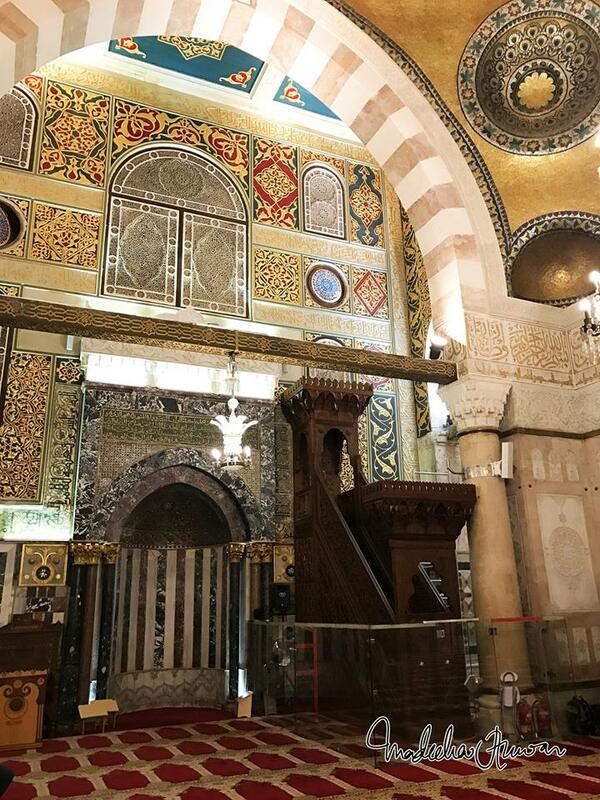 Inside Nabi Ibrahim AS’s tomb. 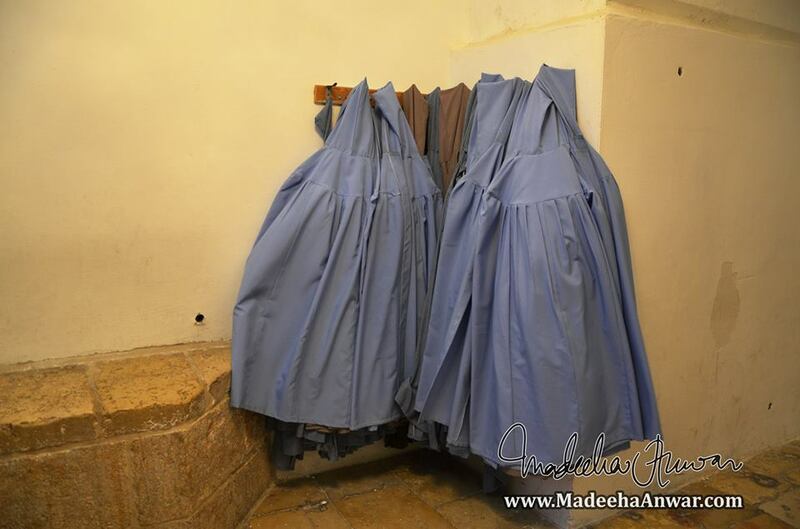 These burqas are provided to Muslim women who’re not properly dressed to visit the tomb. 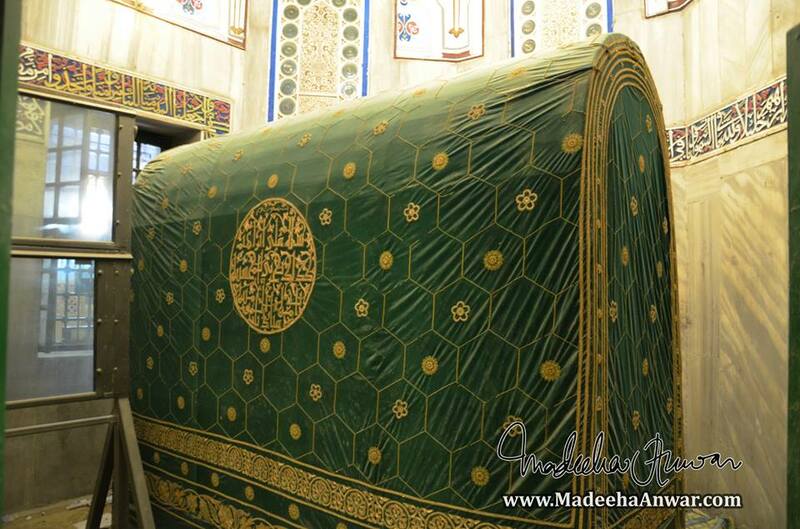 Tomb of Nabi Ibrahim AS. 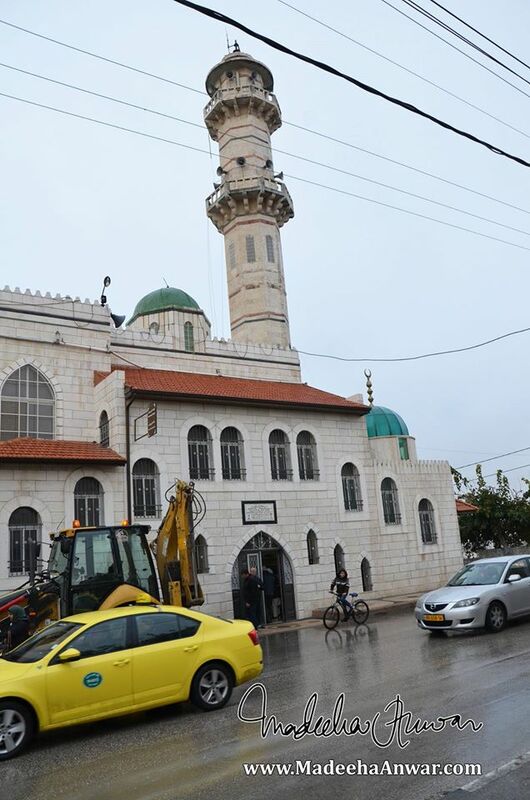 Cenotaph of Nabi Ibrahim AS. 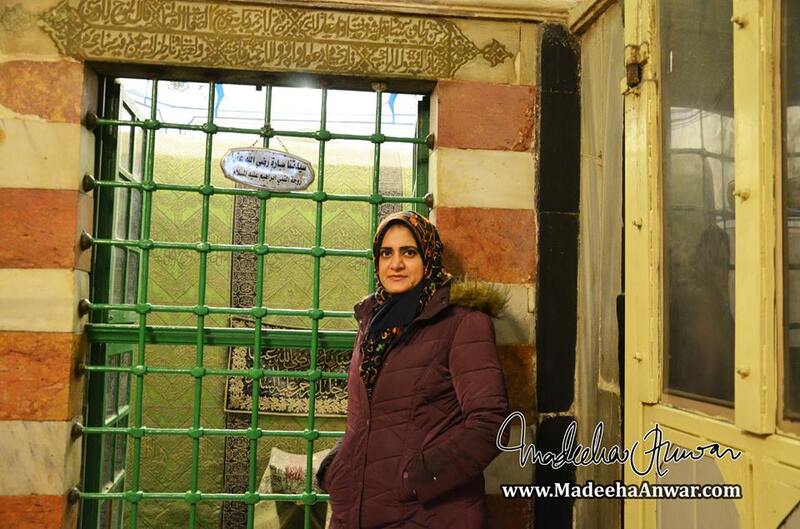 The real grave is said to be beneath this structure in the caves which is closed by the Waqf for people to visit. 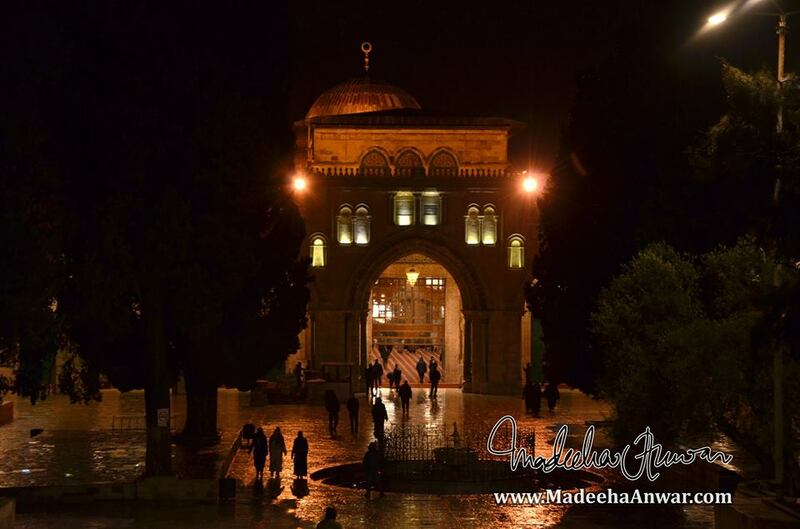 Prophet Ibrahim’s AS tomb is divided in two parts, one if for Muslims and called Masjid e Ibrahimi and the second part is a synagogue where Jewish people come and pray. 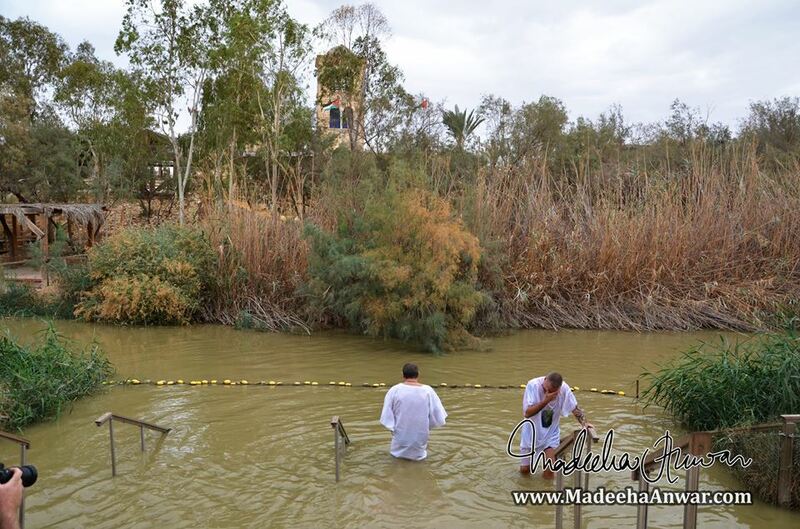 Christians believe Jesus was baptised here. 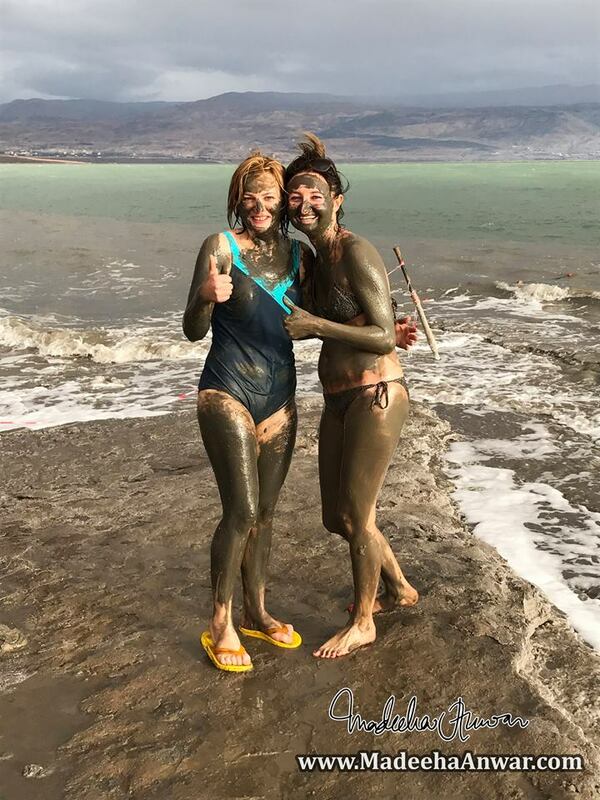 People like to apply mud from the Dead Sea on their bodies and believe the minerals in the mud helps rejuvenating the skin. Jericho . 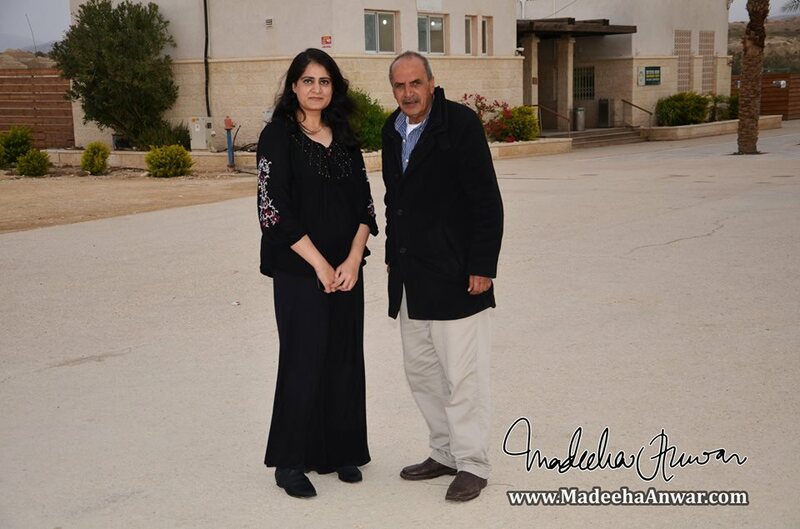 Madeeha Anwar Chaudhry with her driver and guide Abdul Qadir in Israel. 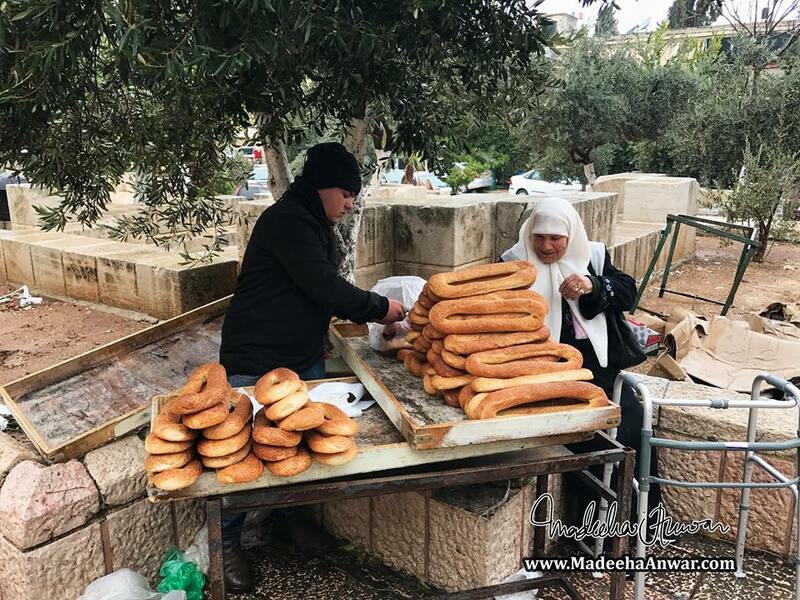 A young boy selling the famous Jerusalem Bagels outside Masjid e Aqsa after Jumma prayers. 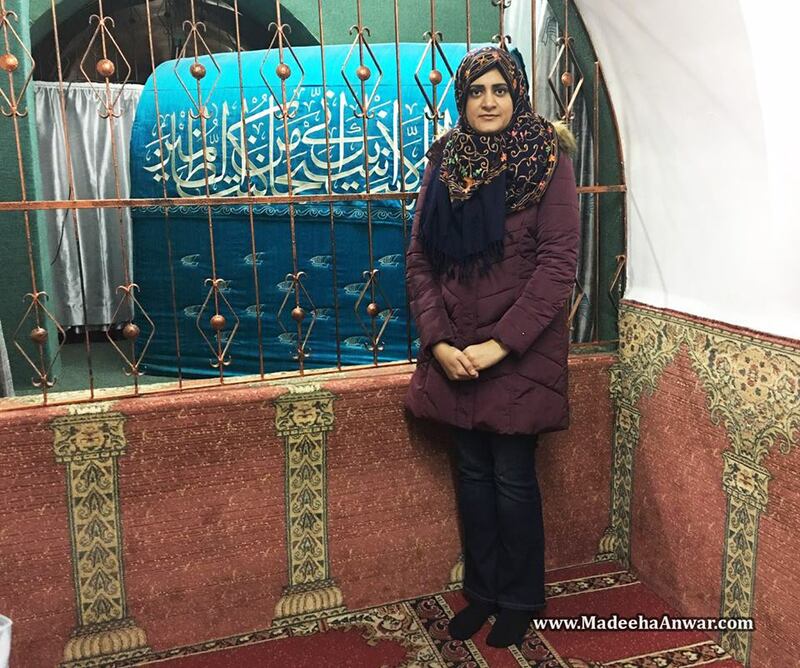 The foundation stone from where it is believed Prophet Muhammad SAW ascended to heavens on the night of Mairaj. 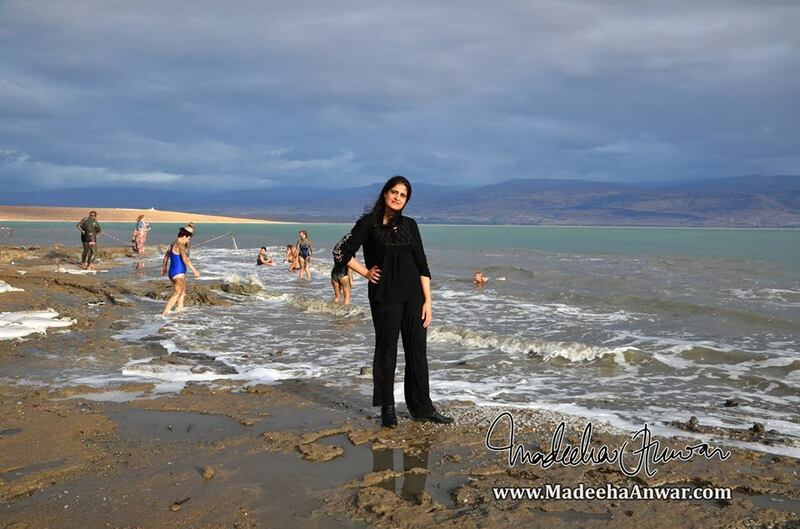 Baptismal Site or Qaserel Yahud. 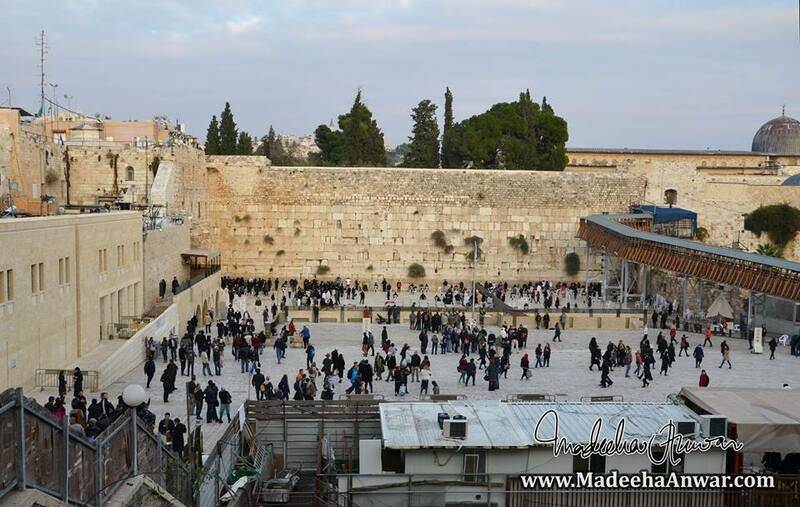 A view of Western Wall. 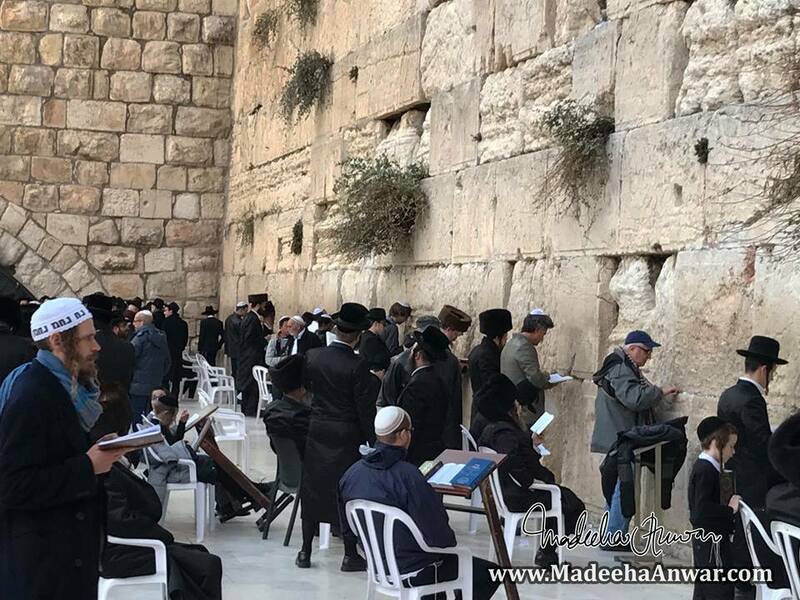 Jewish men prayer at the Western Wall or Wailing Wall on Shabbath. 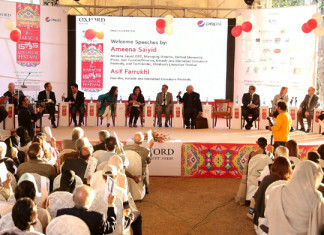 Pictures courtesy: Madeeha Anwar Chaudhry Facebook page.